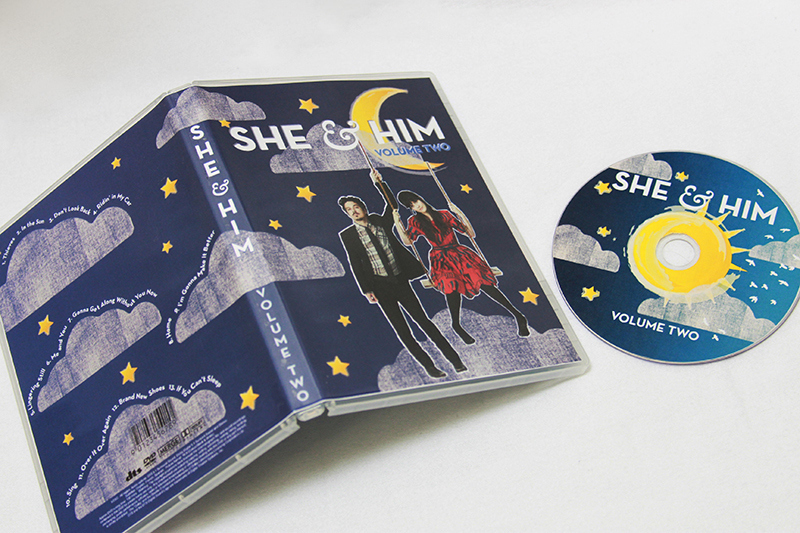 I designed this DVD package to have a graphic resonance, giving the audience a feel of what the music is like. 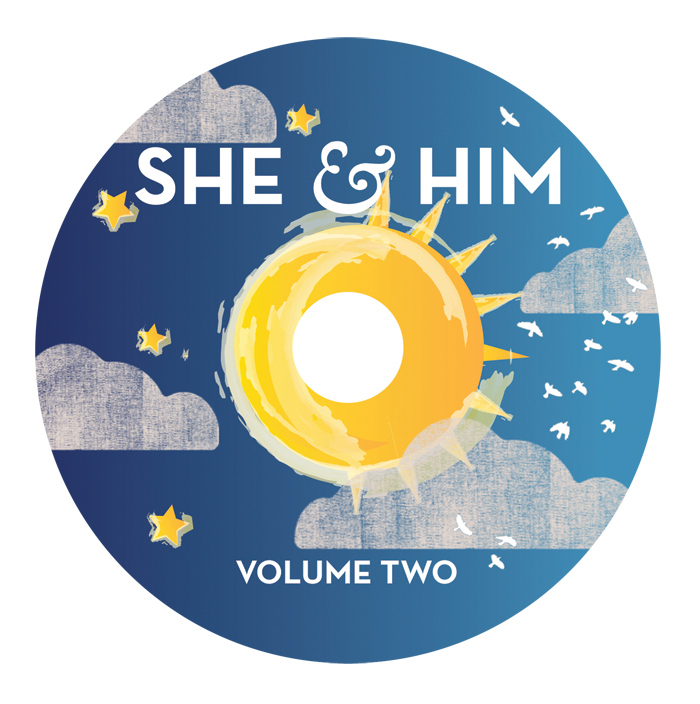 She & Him is a duo band, their sound can be categorized as Indie, Alternative and Folk. 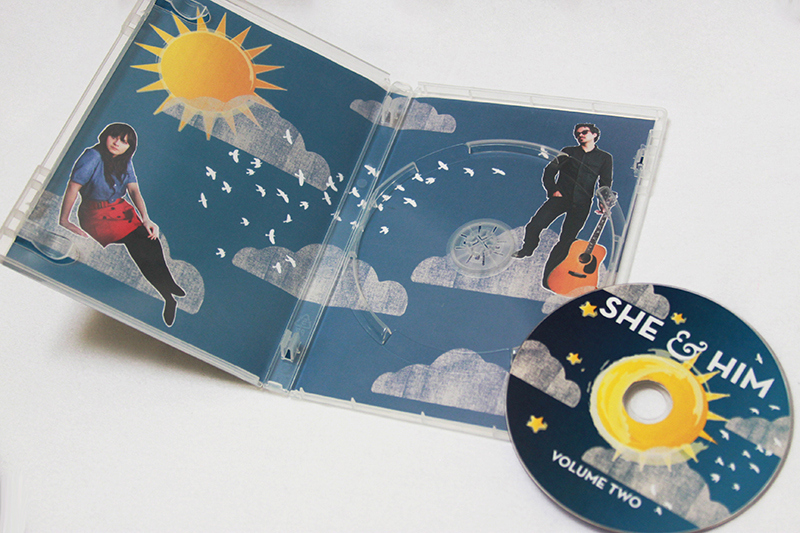 Their lyrics and instrumental sounds are contrasting–i.e. sad/happy lyrics with happy/sad tune. 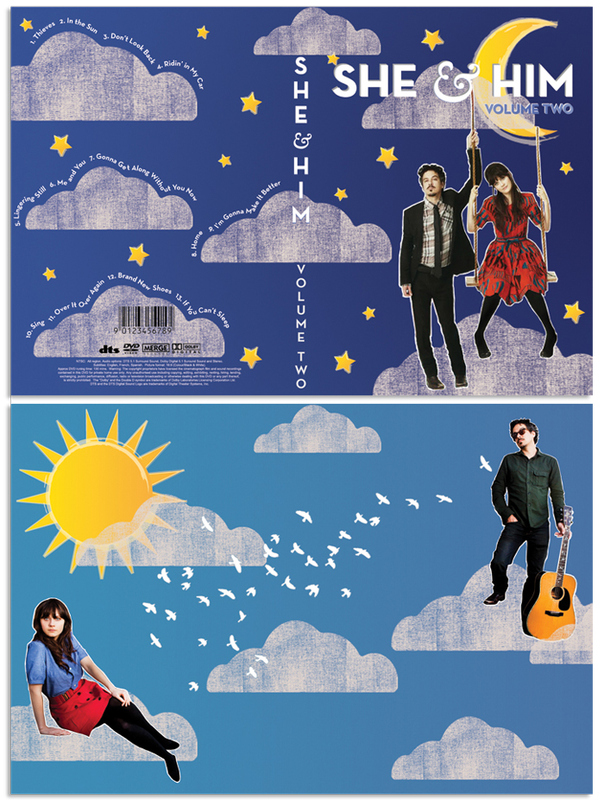 So, I decided on creating a contrasting cover and interior–in this case, Night vs. Day while incorporating actual photographs of the band members–Zooey Deschanel and Matt Ward. This design resembles a diorama.